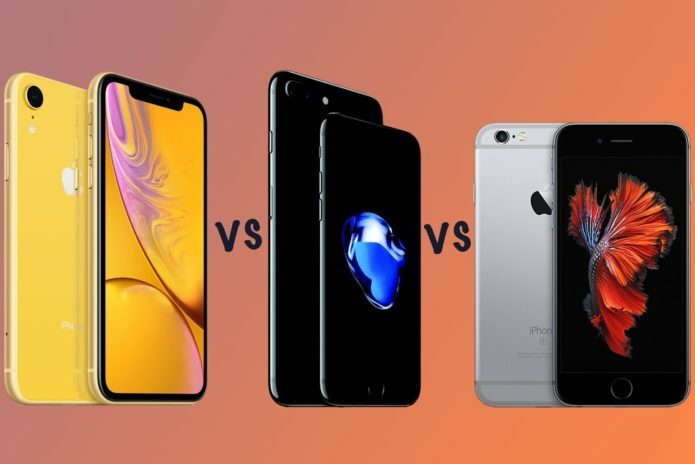 Apple iPhone XR vs iPhone 7 vs iPhone 6S: Should you upgrade and why? Apple announced the iPhone XR in September 2018 alongside the iPhone XS and XS Max. The XR is the cheaper and more ‘affordable’ of the latest iPhone models, succeeding the iPhone 8 and iPhone 8 Plus as one model. You can read how they differ to the 8’s in our separate feature. For those with an iPhone 7 or 7 Plus or the older iPhone 6S or 6S Plus wondering if you should upgrade, you’ve come to the right place. Here is how the iPhone XR compares to the iPhone 7 models and iPhone 6S models.